"We are so happy a friend recommended Stuart to us. We could not have hoped for a better real estate agent to help us find our new home! We met Stuart in January when we were deciding to move to Portland, and he showed us a few places and helped us get to know the different neighborhoods. When we finally arrived in August, we had a good idea of what we were looking for, and it was a good thing we did - the market was moving quickly! Even though our original choice didn't work out because of problems that turned up in the inspection, Stuart quickly helped us find a condo in the beautiful Pearl district that we liked even more. During the whole process, Stuart answered all of our questions, and we could relax knowing that he was always looking out for our best interests. We trust him 100%. We would definitely recommend Stuart to anyone who is looking for a well-informed, reliable real estate agent in Portland!" ~ Ian & Emily H.
"McCormick Pier Condos Stuart was very responsive, knowledgeable, and courteous, which are probably the most important traits in an agent. As an American abroad, I needed someone who could get things done quickly and kept me abreast of the whole situation. Stuart did that, and he was understanding of the difficulties due to the difference in time zones. I hope to do business with Stuart again in the future." ~ Ruka I. "Stuart answered our request to look at a loft in Old Town back in November 2014. He was able to get us in quickly and gave us important information about the loft, building and surrounding area. Stuart continued to show us many properties and he never lost patience with us when we changed our minds about what we ultimately wanted to buy. He helped us write several offers until we finally decided on a condo on the river. We have bought several homes in our lifetime, but this was the first time in the Portland area. I have never considered deciding and buying a home enjoyable, but Stuart made the whole process much less stressful. In addition to being prompt, professional, and knowledgeable, Stuart is very honest and accountable. He is relaxed , has a sense of humor and enjoys what he is doing. We would recommend and use Stuart Stevens in buying/selling a home in the Portland area." ~ Karen & Joe S.
"Stuart helped us to purchase a NW Portland condo. He has a great temperament, patient, very professional and neutral, nice historical knowledge of the market, and most importantly was readily available when we needed to communicate with him. We found him to be very reassuring during our purchase. There are a lot of details with a purchase, and you should remain diligent through the whole process. Stuart assisted greatly in addressing issues and following-up on items." ~ Michael L.
"I purchased a condominium in NW Portland sight unseen. Stuart Stevens was my agent and I cannot recommend him highly enough. He was on top of the situation, which was somewhat unusual, and he went with the flow when I introduced him to two local friends who were to be my eyes and my proxies to complete the purchase. Stuart made sure that the seller followed through on certain promised repairs and his negotiating skills were amazing. I value professionals who are, in fact, professional. Stuart returns emails/phone calls quickly. He is able to answer every question that arose. I love my new space and I have Stuart Stevens to thank." ~ Pamela T.
"Stuart is the best realtor I've worked with! He's super responsive, knowledgeable and tireless in working with his clients. After looking for more than a year in a tight market, he never pushed for a solution other than the ideal. He was honest in his assessments and a pleasure to work with - always! He came recommended by a friend who also rated him "the best ever." Stuart coordinated among all parties without delay, and no question or request was too small. He never backed off getting the best deal, and continued to follow up after the sale. He also had great recommendations and resources to share. I will go back to Stuart when there's another move in my future, and will wholeheartedly recommend him to my friends." ~ Alice L.
"Stuart is one of the most professional realtors that I have ever worked with! Great attitude, attention to details, and very resourceful. All those qualities came in handy with my lender was not very good with closing dates' timeframe. Although I don't have much experience in buying real estate, I've been looking for a good condo for quite some time now and, thus, meeting with some specialists, and Stuart was easily the best. It's been a pleasure working with Stuart." 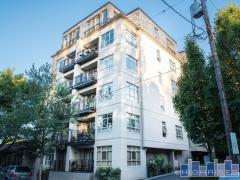 ~ Pavel S.
"Stuart helped us find and purchase a condo in downtown Portland. He was very courteous and attentive to our requests, responding quickly to our enquiries. He helped us narrow down our search based on our needs and budget." ~ Benjamin L.
"Stuart is the ideal agent - responsive, patient, and makes sure your needs come first. I highly recommend Stuart to those looking for a buyer's agent, and have nothing but praise for his working style and manner. He made the buying process fun and I felt confident that I was making the right decisions along the way." ~ Wylie W.
"We had an excellent experience with Stuart Stevens. He was our agent in helping us buy a condo in downtown Portland. We began looking in the summer of 2014 and just closed on a unit in April 2015 which met all of our criteria. We owe much of that to Stuart's approach to being our agent. Basically, he worked hard at listening to us as to what we were looking for. He proved to be very knowledgeable about the condo market in Portland. He knows the different buildings and the various areas of downtown Portland. He showed us many, many condos in the city. He understood that we were not in a hurry to buy and was very supportive and low-key (as opposed to high pressure) in his dealings with us. He was very attentive and quickly responded to our questions. We truly feel that he had our goals and best interests at heart. All told, he was hard-working, patient, and persistent-all good traits to have in an agent. We recommend him very highly." ~ David & Donna G.
"Stuart jumped into action very quickly and exceeded my expectations. We had to be quick to get things together. That was not an issue with Stuart. I will recommend his services to anyone I know looking for a property in Portland. -Richard B. Avenue Lofts As a first time buyer, I wasn't quite sure how this process would go. Stuart was so patient, always available, & was able to answer all of my many questions. I would absolutely recommend working with Stuart if you're in the market for a condo in Portland! Thanks Stuart!" ~ Jennifer B. "Stuart Stevens is by far the best realtor we have ever worked with. We own nine properties currently, and have bought and sold numerous others in the past 45 years. Stuart is personable, responsive, sensitive to buyer and seller concerns, not just getting a commission." ~ John M.
"Stuart recently helped me buy a condo in Portland and I had an amazing experience working with him. Given the high demand for condos and newly developed neighborhoods in Portland, I needed someone who has a in-depth knowledge of the area to find the right home soon. Stuart proved to be everything I desired, he knows the condo buildings, neighborhoods, construction plans (affecting the condo) like the back of his hand. He frankly discussed the pros and cons of each house I looked at and never pushed me. When I made my mind on a condo, Stuart immediately took action and helped me make a winning offer over other prospective buyers. All told, he is has all the qualities you look for in an agent. I would highly recommend Stuart!" ~ Kishor K.
"I feel very fortunate that I found Stuart to be my real estate agent. During the home buying process, he kept me updated, responded quickly when I had questions, and offered sound advice. He was knowledgeable, patient, and hard working which is everything you could want on your team. -Ray P. Waterfront Pearl If you are looking for a true professional, who is patient and kind, someone who will respond to your every need during your home search, stop looking and call Stuart Stevens. Nothing I could say would really do him justice... he is that good." ~ Orlando S.
"This guy is incredibly conscientious, reliable and effective, not to mention unfailingly pleasant and easy to work with. He returned phone calls, texts and emails almost immediately (sometimes within seconds). Despite our being out of town, Stuart facilitated critical aspects of the transaction (for instance, locating an inspection service, picking me up at the airport, etc. etc.). Even after the escrow closed, Stuart has been available to effect pre-move-in repairs. Stuart really works hard and totally earns his commission. I cannot say enough good things about him. If you want to find and buy a decent property in Portland, Stuart is your guy. Too bad there aren't more people like him in the real-estate profession." ~ David D.
"We were looking for condominium properties in a city 180 miles from our current home. We contacted Mr. Stevens asking to schedule showings on specific properties, he was consistently prompt in scheduling taking into account our travel time. Stuart was very responsive to questions and provided information about the differences in purchasing a condominium rather than a traditional single family home." ~ Darryl & Rosie G.
"We were very fortunate to engage Stuart Stevens to help us find a condo in Portland, OR. Stuart did not use the aggressive, high pressure tactics favored by so many realtors. Rather, he listened carefully to our requirements, and made sure he understood exactly how we felt about every property he showed us. Once we had found a condo we wanted and made an offer, we really appreciated his expertise managing the process calmly and effectively. Stuart is a great broker and we recommend him without reservation." ~ Bruce & Leigh V.
"Stuart is amazing! He's so reliable and will work harder for you then any other realtor I have ever seen. I can email Stuart at anytime during the day or night and expect a response within an hour. Stuart is so knowledgable and knows his business. I literally would not have gotten my condo if it wasn't for Stuart's outstanding negotiation skills since there were 2 other offers on the unit I wanted. Not only will I be referring Stuart to all my friends and family (my brother has already purchased a couple properties through Stuart) but I will also be using him in the future with all future purchases/sells. Thanks for everything, Stuart!" ~ Dawoud K.
"Stuart was a great agent. Ironically, we didn't really get to test his real estate agent skills since our condo sold so quickly (received offer within 24hr of listing). We are not from OR, so really relied on him to give us his recommendation on a realistic sale price. We went with what his recommendations were and the final sale price came out to what he predicted. Because we were selling this condo from out of State, Stuart was a GREAT help in coordinating all the vendors to get the condo fixed up for the sale. He was always responsive and made sure to keep us up to date on any progress. Very smooth transaction." ~ Katherine T.
"Stuart is the most efficient, thorough, knowledgable, and fun relator to work with. We have used him four times now and would never work anyone else." ~ Melissa F.
"Stuart was very responsive in pursuing the seller's agent, the homeowners' association and the building management company to get the details we needed to make an informed decision. He also provided us with excellent leads on finding a rental management firm to handle the rental of our condo. Whether you are buying for investment or a place to live, I believe you will find Stuart very knowledgeable and helpful in your property search." ~ Bob & Fiona H.
"It was a real pleasure working with Stuart. We really appreciated his low-key manner; we never felt pressured to make a decision. His responsiveness was amazing - we received an immediate response of some form to all of our inquiries. We also appreciated his advice in guiding us through every step of our lengthy, and at times stressful, purchase process." ~ Wayne & Lynn G.
"Stuart was a Consummate Professional. Processed all Documents in a speedy & efficient manner & worked w/ our hectic pace & schedule. We really appreciated that Stuart was willing to go the extra mile for us and communicate our request that were not standard protocol. He went above & beyond to make this a seamless transaction. We liked him so much we even asked him to list our existing condo for sale too! Nice Guy-Thank you!" ~ Kelli & Gene T.
"Stuart did a great job representing the sale of my Portland area loft. He was professional and effective. His suggestion and selection of a staging company made the difference in obtaining an quick purchase offer. Stuart kept me informed and I would certainly recommend him. The best recommend you can give someone is to simply say, I would use Stuart again." ~ Tim B. "Being from out of town, we had very little experience with the housing market in Portland, and so Stuart took us from start to finish by helping us to identify and clarify the type of property we really wanted and then providing a range of properties that gave us useful choices within our parameters. He really went the extra mile in setting up viewings and adjusting schedules so that we could make the most of our available time. I was particularly impressed with Stuart's communication skills and his ability to quickly research questions relevant to various properties so that our own judgments were properly informed. The rapid purchase process of our condo, a loft-style unit in the Pearl District, couldn't have happened without his wherewithal. Moreover, his opinions and advice were, in my view, honest and ethical. In my experiences with property transactions, I have never encountered a better agent. Stuart is an excellent real estate professional and quite an exceptional individual as well." ~ Paul & Donna E.